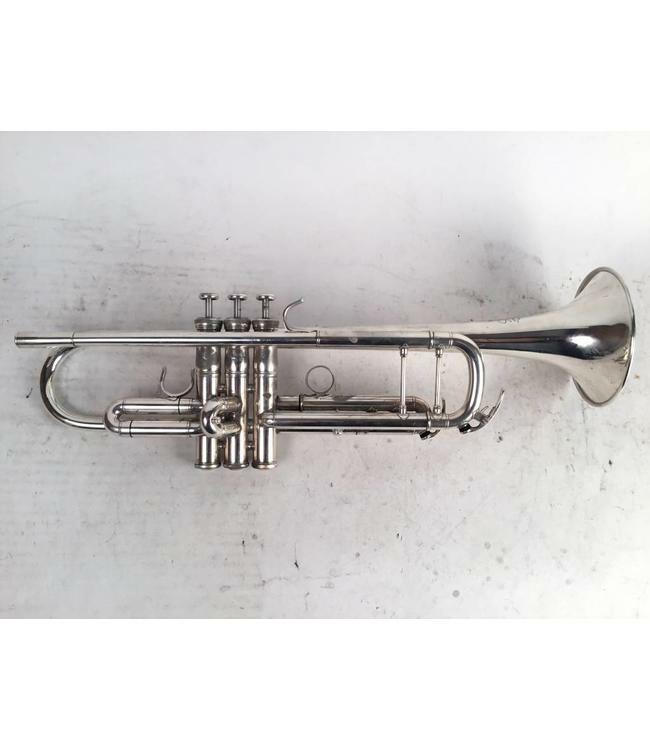 Used Yamaha YTR-8335S Bb trumpet in silver plate. Instrument is in good condition with metal wear at contact points, silver wear on back bell bow, dings/dents in bell and evidence of bell repair (bell bow). No case.